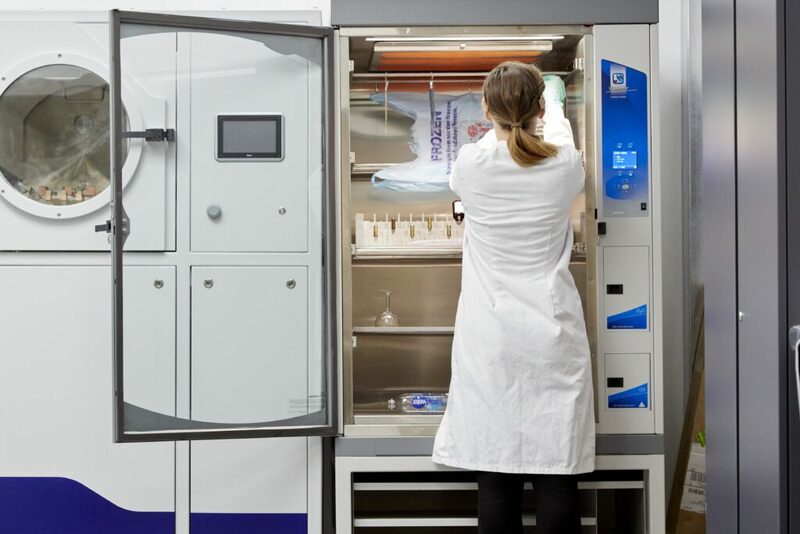 We are pleased to announce that the CApture BT Cyanacrylate (CA) evidence fuming cabinet now has a UV-C lamp option available to provide DNA decontamination. This spacious benchtop chamber (stand option available) with microprocessor control automates the Cyanoacrylate fuming of evidence. The programmable operating system combines the control and monitoring of all critical parameters in the fuming process with the precision to store and easily repeat specified programs. 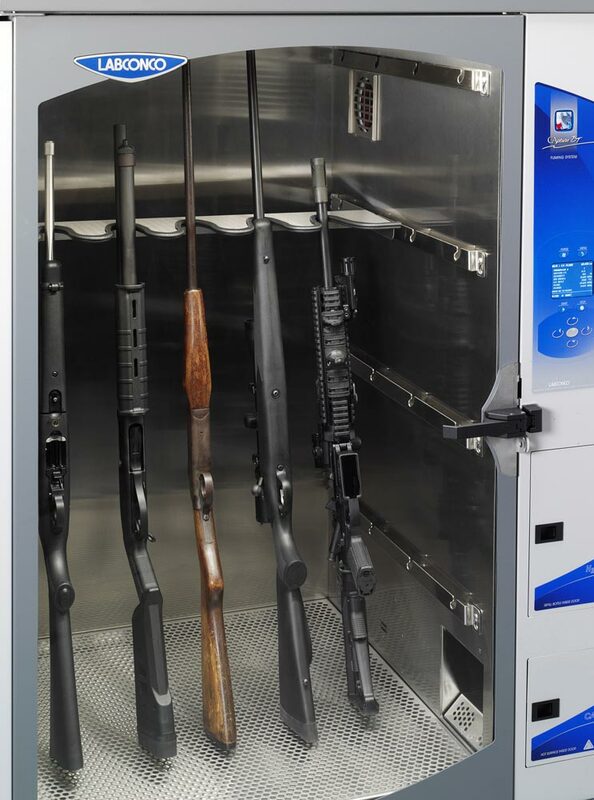 Its unique interior space with shelving system maximizes fuming capacity and accommodates large evidence including long guns. 68cm w x 68cm d x 113cm h interior. filter life remaining, low-level water reservoir alerts and open door alerts. Convenient drawer below the chamber, 70cm w x 33cm d x 4cm h, has flushmounted disappearing handle, platform for supporting tins while adding CA, and compartments to store glue, hanging rods and other supplies. Includes 4 stainless steel hanging rods, interior LED light, exhaust pre-filter, exhaust carbon filter, 4 leveling feet and power cord.